American Academy of CME, Inc. designates this educational activity for 0.75 contact hours (0.7 pharmacotherapeutic contact hours). 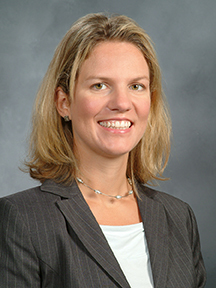 Kristen M. Marks, MD, MS, has has indicated the following relevant financial relationships: Grant Recipient/Research Support: Bristol-Myers Squibb, Gilead Sciences, Merck & Co.
Dr. Marks is Assistant Professor of Medicine at Weill Cornell Medical College and Assistant Attending Physician at New York Presbyterian Hospital. She received her medical degree from Columbia University, College of Physicians and Surgeons, and is board certified in Internal Medicine and Infectious Diseases. Dr. Marks completed Internal Medicine residency and Infectious Diseases fellowship training at New York-Presbyterian Hospital, where she focused her clinical training and research on HIV and hepatitis virus infections. She also completed Weill Cornell's Master's Degree in Clinical Investigation. 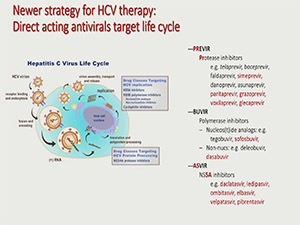 Dr. Marks’ research focuses on improving treatment outcomes in patients with HIV and hepatitis virus co-infections and includes studies of acute HCV as well as new treatment strategies for chronic HCV. She was the vice chair of an AIDS Clinical Trials Group (ACTG) multi-center study, currently serves on 3 other ACTG hepatitis protocol teams, and is a member of the ACTG Hepatitis Transformative Science Group. She is co-investigator in the Cornell HIV/AIDS Clinical Trials Unit and Center for Study of Hepatitis C, where she is the site PI for 5 treatment studies and 2 other protocols related to HCV. She also sits on IDSA, AASLD, and IAS-USA’s joint guidelines panel for “Recommendations for testing, managing and treating hepatitis C”.